After a warm April, the high Alps passes are beginning to open. 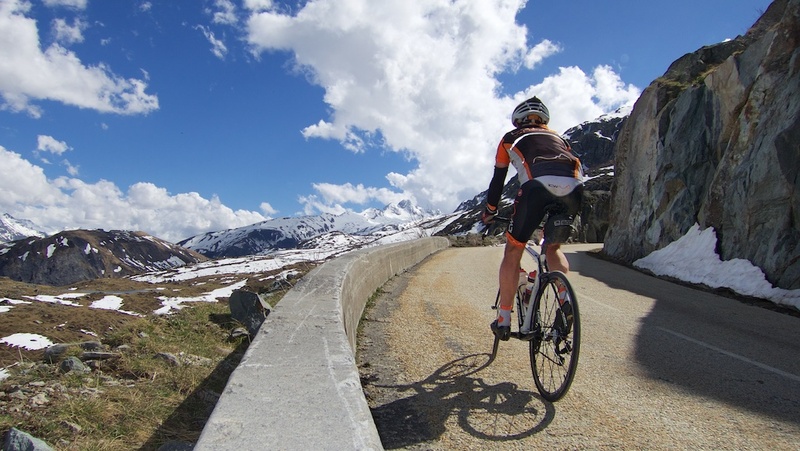 It’s always fun to visit Col de la Croix de Fer, and climbing via the under-rated Col du Mollard is a great way to add a bunch of extra hairpins. 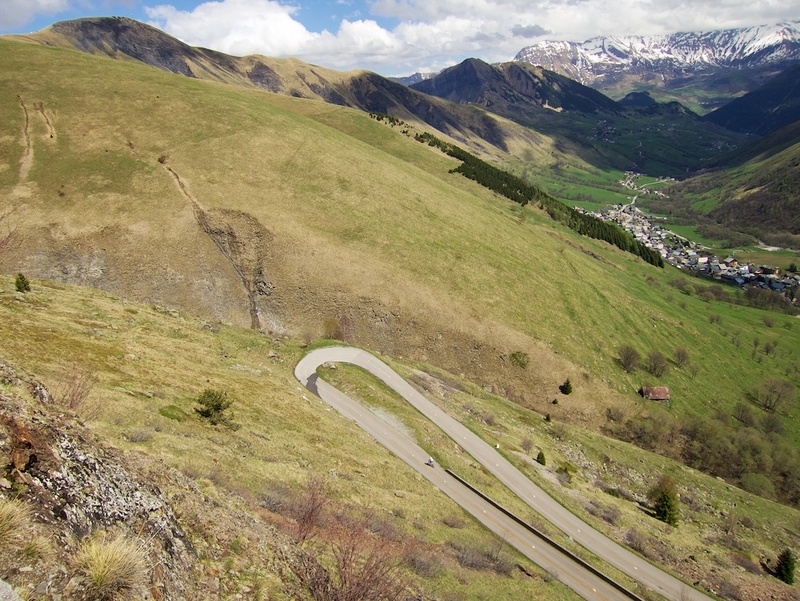 Just look at the map down below: the lower half of Mollard has at least 40 hairpins (the 2015 Tour de France will descend here this summer during stage 19). It’s tough to get a good photo of the hairpins as the route is lightly forested. Most of the climb is a steady 7% or so, and it’s good fun to count off all these turns. Higher up, the climb opens up to great views of the surrounding mountains as the route approaches Mollard. From the Col, it’s a seven kilometre descent to Belleville, where the route joins the main road to Col de Croix de Fer from St-Jean-de-Maurienne — but above three tunnels that I am always pleased to bypass. 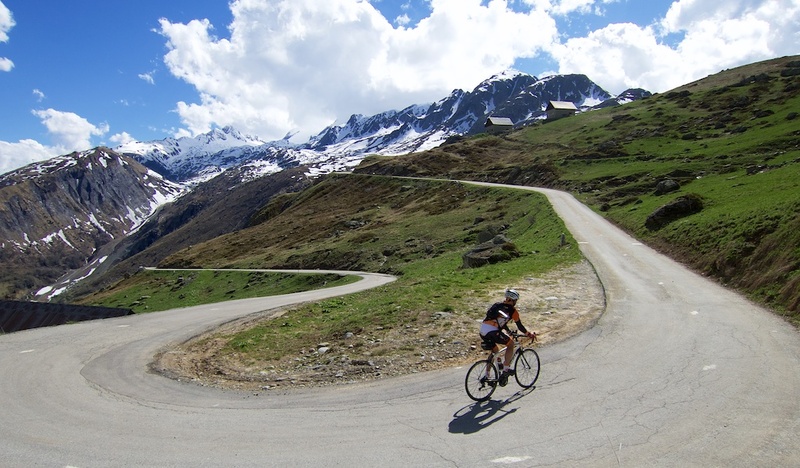 For a detailed post describing all five road bike routes to Col de la Croix de Fer see here. The best part of this side of Col de la Croix de Fer is the final 5+ kilometres above the ski village of St-Sorlin-d’Arves where the road snakes up and over the mountain. 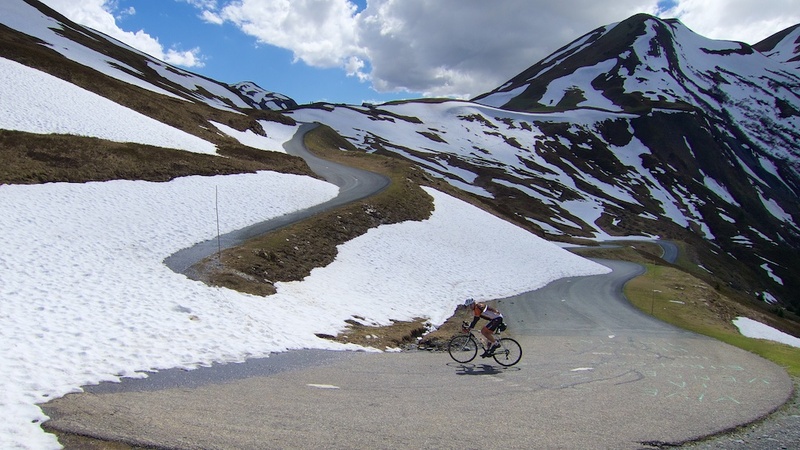 At Col de la Croix de Fer, I descended the 2.5 kilometres to the turn off to Col du Glandon. 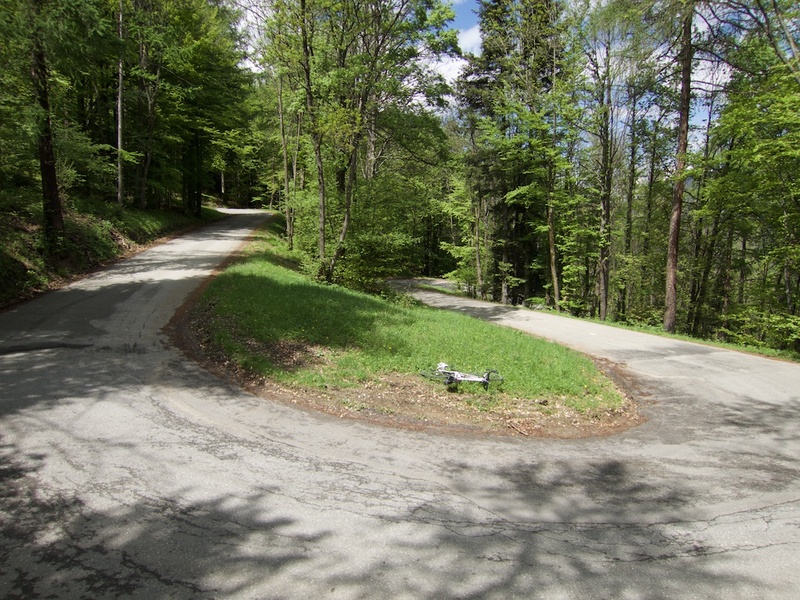 It was still closed, but I decided to go have a look, descending down to one of my favourite hairpins in the Alps. It was clearly possible to cycle up, even if a few snow portages were required. I considered descending Glandon and looping back to St-Jean via the valley, but decided to skip the traffic below and re-climbed to Croix de Fer and descended the direct way – via the three tunnels (admittedly well lit and wide) back to the start point. Woohooo, few things make me happier than when the big passes start to open. 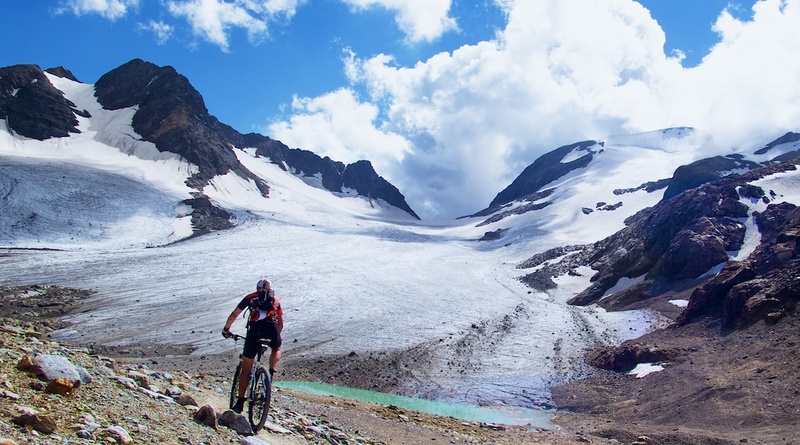 For mountain bikers: behind the parking at Col de la Croix de Fer itself is an old, unpaved road that goes far, far higher up to two beautiful dams/lakes and even as far as the St-Sorlin Glacier. Paradise – details here.